Materialize Forms are the standard way to receive user inputted data. It provides a very beautiful and responsive CSS for form designing. The transitions and smoothness of these elements are very important because of the inherent user interaction associated with forms. The forms are Input fields, Textarea, Select, Radio Buttons, Checkboxes, Switches, File Input, Range, Date Picker, Time Picker, Character Counter, Autocomplete etc,.. Text fields allow user input. The border should light up simply and clearly indicating which field the user is currently editing. You must have a .input-field div wrapping your input and label. This helps our jQuery animate the label. Prefilling text input labels are overlapping in a content, Just add class="active" to the label. 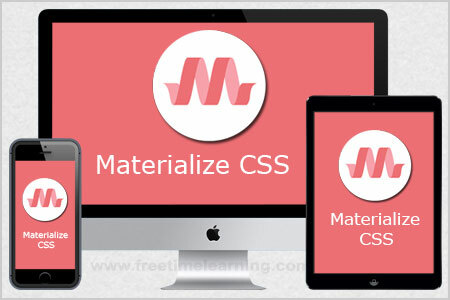 First you can also call the function Materialize.updateTextFields(); to reinitialize all the Materialize labels on the page if you are dynamically adding inputs. Just add an icon with the prefix class before the input and label. Here is a CSS template for modifying input fields in CSS. With Sass, you can achieve this by just changing a variable. Textareas allow larger expandable user input. Must have a .input-field div wrapping your input and label. This helps our jQuery animate the label. When dynamically changing the value of a textarea with methods like jQuery's .val(), you must trigger an autoresize on it afterwords because . Select forms allows user input through specified options. Make sure you wrap it in a .input-field for proper alignment with other text fields. You must initialize the select element as shown below. Radio Buttons are used when the user must make only one selection out of a group of items. The for attribute is necessary to bind our custom radio button with the input. Add the input's id as the value of the for attribute of the label. Just add multiple class in your iput file to allow multiple file uploads. Add a range slider for values with a wide range. This one is set to be a number between 0 and 100. To use the noUiSlider, you will have to manually link the nouislider.css and nouislider.js files located in the extras folder. Use pickadate.js to create a materialized date picker. Add an autocomplete dropdown below your input to suggest possible values.